With two of the funniest and most lovable characters in literary history and some genuinely laugh-out-loud moments, DQ is a true classic. Considering it's age, it is surprisingly easy to read and the meta-fictional elements of part 2 were way ahead of their time, making it highly readable today. However, it is overly long and repetitive. Contrary to other reviews I've read, I enjoyed part 1, with it's robust violence and humour(and novels within the novel), far more than part 2, which was less fun and where the repetition kicks in. I'm glad that I read it but it did become a slog. This is a nice idea, since it is all public domain, but the formatting is terrible. Everything is all one block with no paragraphs, no line breaks, nothing. It makes it into one big mass of text. Don Quixote - Obra Prima da Literatura Espanhola. Obra para ser lida e pensada. É uma Obra para todas as epócas. 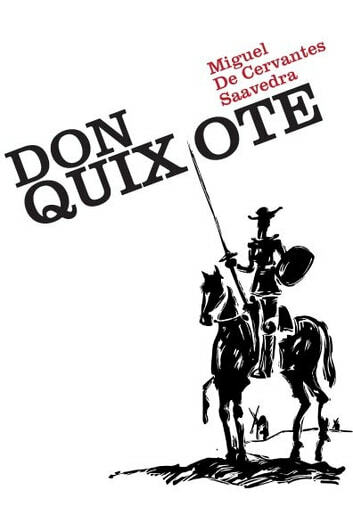 O Escritor está acima da crítica - Miguel de Cervantes Saavedra, nome que enobrece a Literatua Espanhola.